There are some things that get lost or forgotten in a massive wedding planning. So to be sure you haven’t forgot anything and the wedding goes as planned here is a last minute wedding checklist to go through before your big day. This is probably the most important part of the checklist. Be sure all the payments are ready or have already been made. This includes vendors, music bands, photographers and all the other professionals working to make your day special. Also be sure that all the arrangements with vendors stand two or three days before the wedding. Clear up all the details before the day of the wedding to avoid any misunderstandings. If you hired a DJ to manage your wedding music go over the playlist with him or her a few times just to be sure every event is accompanied as planned. Don’t forget your handbag with pins, scissors, tape and other helpful things that will help you look and feel flawless. You don’t know what could go wrong. It’s better to be prepared. Keep some cash with you for tips and other unexpected occurences. Make a schedule to let your guests and family know when the official part ends and the party starts. It will also help your appointed helpers know when they will perform their part. Make a list of things you don’t want to forget early on and add more to it as the planning goes full mode. This will keep you from forgetting even the smallest details. 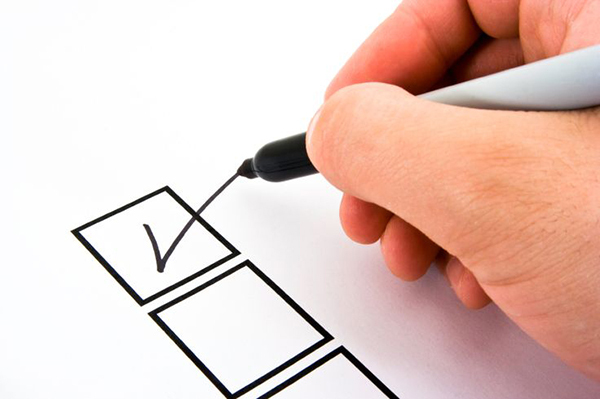 Don’t lose your checklists and make a one complete and organized list of to-do things. What was on your last minute wedding checklist?